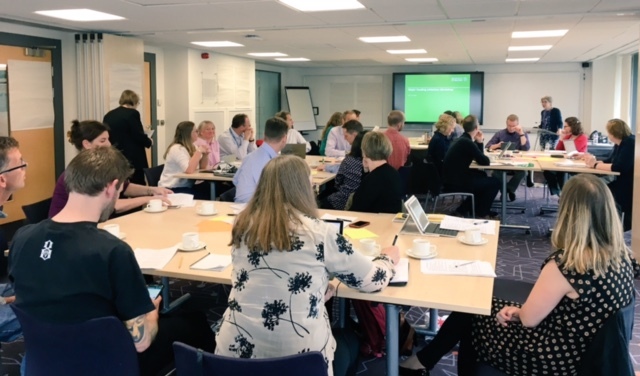 On Tuesday, Research & Innovation Services hosted their first Major Funding Initiatives Workshop with the aim to support our research community and researchers prepare for key calls and to stimulate the discussion of new ideas. For the workshop, teams of researchers from across the University submitted a project proposal for either a specific call or targeting types of funding such as the upcoming Global Challenges Research Fund (GCRF) Collective Fund and the UK Prevention Research Partnership (UKPRP) call. Sixteen proposals from across the University were submitted, each team/individual delivered a short pitch and other participants provided written feedback, before a deep dive into each proposal. The day kicked off with an introduction from Prof Judith Phillips touching on our research themes and programmes as the ‘engine drivers’ of research funding activity. A strong message of encouragement to grow the scale and scope of our research funding applications, foster inter-disciplinary research and build new international collaborations. The importance of the Global Challenges Fund was another key message and the graph showing the flat lining of Research Council specific funding vs the exponential growth of funding allocation to GCRF really brought this to life visually. 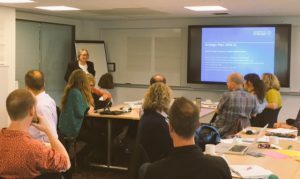 We hope that this workshop, along with other initiatives such as the internal Peer Review College can help us to develop the large multidisciplinary projects that funders are seeking. Borrowing elements of the Research Councils pitch to peers concept the workshop included a pitching element but was altered to fit our purpose better. 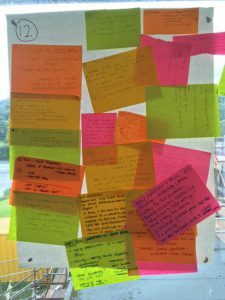 Each project proposal had a 5 minute pitch and all participants at the workshop were tasked to provide written comments, thoughts, and questions, that feedback was then utilised in the deep dive critical review which came next. Split up into smaller groups participants discussed each proposal for half an hour – looking at scientific excellence, impact, relevance, gaps and next steps. What was really interesting was seeing where connections were being formed in the room there and then and how the coming together of researchers from different disciplines and backgrounds brought new contributions to the proposals. Some really great connections were made during these discussions. A key element is ‘next steps’ is the acknowledgement of both a collective and individual responsibility in achieving our strategic target on research grant income so transitioning from idea into a strong and competitive application is critical. 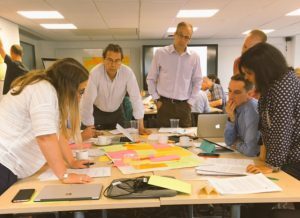 Research and Innovation Services will be working with all of those at the workshop to support the development of applications and we invite you to tell us what you need from us.